1. Garden Impressions 6x6 DSP 146289 $11.00 -- How gorgeous is this paper? It's even more gorgeous in person! I have already made multiple cards using this paper and an't wait to make even more! 2. Faceted Dots 146910 $6.00 -- Every card needs a bit of bling and these adhesive backed dots are perfect! The pack includes dots in Basic Black, Blackberry Bliss, Grapefruit Grove, and Mint Macaron. 3. Abstract Impressions Bundle 148348 $49.50 -- My favorite bundle includes the Abstract Impressions Stamp Set and Springtime Impressions Thinlits. I love the detail in this set! 4. Whisper White Polka Dot Tulle Ribbon 146912 $7.50 -- You always need pretty ribbon to dress up cards. This polka dot tulle is just too cute! It also comes in Very Vanilla. 5. 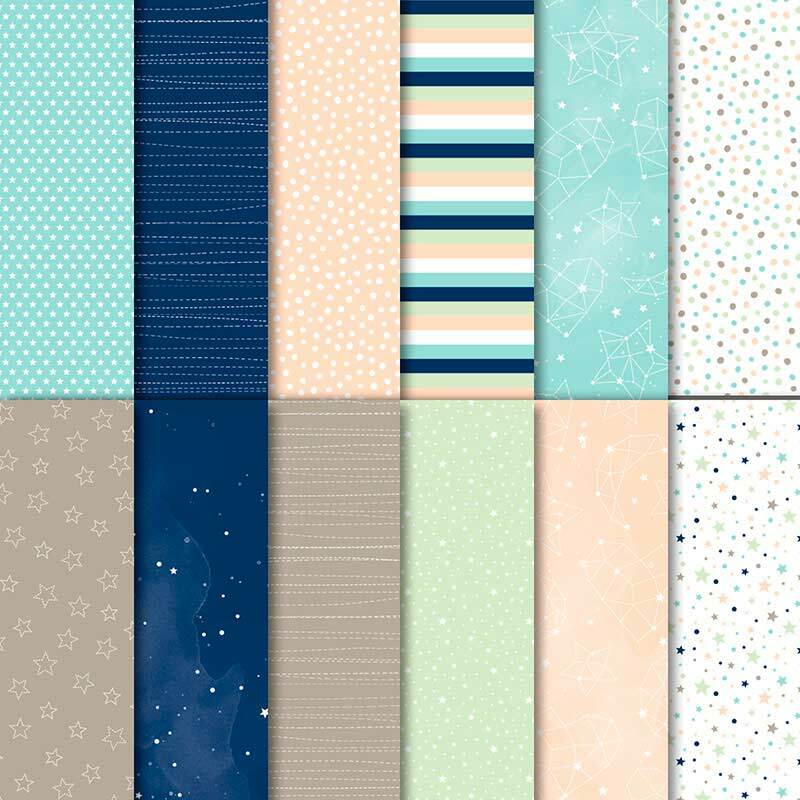 Twinkle Twinkle DSP 146284 $11.00 -- My second favorite paper is this adorable set. When I first saw it in the catalog, I was very impressed. But in person, I love the subtle patterns and color combinations. 6. P.S. You're the Best Stamp Set (clear) 146516 $20.00 -- I love bundles, but don't forget about all the great stamps sets included in the catalog. This cute typewrite will be perfect for fun cards this summer! 7. Basic Adhesive-Backed Sequins 146933 $7.00 -- I love the Tutti-Frutti Sequins featured in the last Occasions Catalog and hoped they would carry-over. That set didn't carry-over, but thankfully we have a new set to play with. This set included Mint Macaron, Pearl White, Petal Pink, Sahara Sand, and Soft Sea Foam sequins. 8. 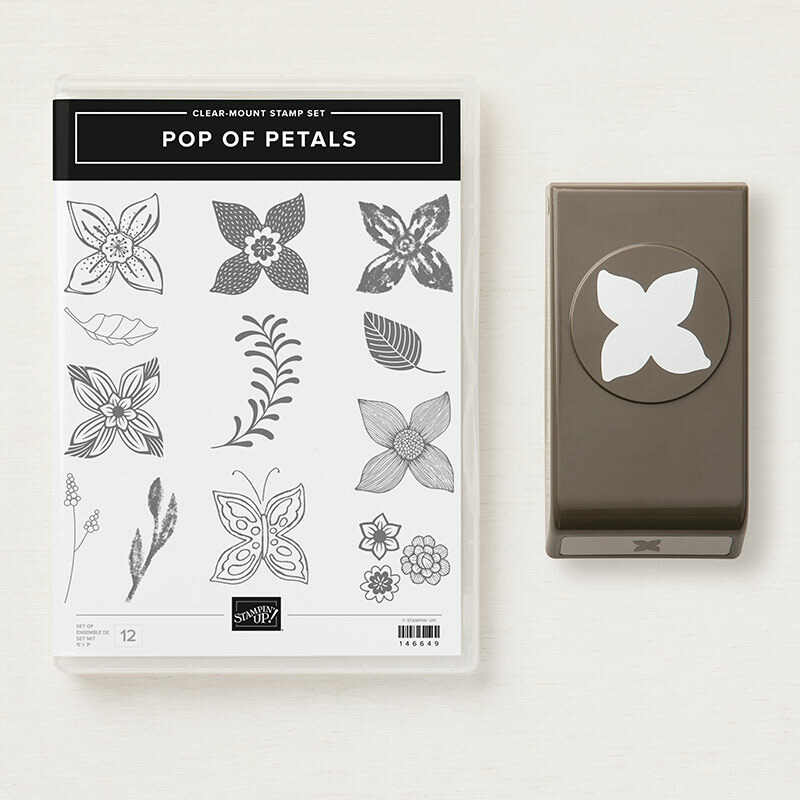 Pop of Petals Bundle (clear) 148385 $36.00 -- The other bundle that I'm super excited about is the Pop of Petals bundle including the Pop of Petals stamp set and Four-Petal Flower Punch. I was sad to lose the Pansy Punch and Flower Shop stamp set, but thankfully SU has me covered with this new set. 9. Shaded Spruce (Ink 147088 $7.50, Cardstock 146981 $8.50)-- Hands down my favorite new color is this gorgeous green! It is such a rich color! I can't wait to pair it with Rich Razzleberry and Soft Sea Foam and Crushed Curry, and so many other colors. 10. 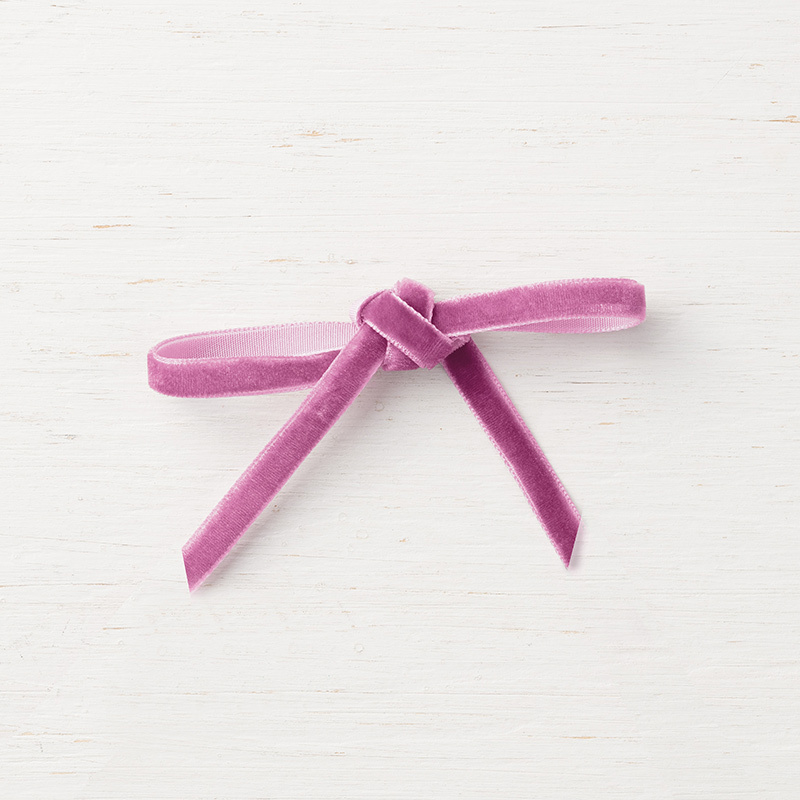 Rich Razzleberry Velvet Ribbon 147016 $8.00 -- How can you say no to velvet ribbon? It's just not done. Must add this to my next order. It's just too luxurious to pass up!